Clients dealing with family law matters often find themselves in emotionally charged situations. Our Firm handles these matters with compassion and concern for all parties involved. Whether your need is for Divorce, Child Custody/Legitimation, or Child Support, we’re here to help. We fully understand that strong advocacy skills are necessary to win family law cases. Our team goes the extra mile to keep a finger on the pulse of the ever-changing laws. We maintain thorough records and documentation and we are there- guiding our clients every step of the way. Divorce– Divorce is not easy for anyone. Our Firm handles both contested and uncontested divorces. There is a lot of false information online about Divorce in Georgia. Look over this Free Divorce FAQs Worksheet to get answers to your divorce questions. Child Custody and Visitation/ Legitimation- In Divorce cases with minor children or legitimation cases, a Court must determine the appropriate living and child-rearing arrangements for the children. 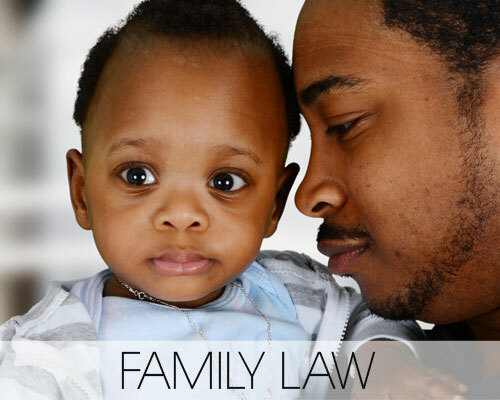 Our top family lawyers aggressively fight for the best legal custody and physical custody plans for our client’s children. For more info, read our Child Custody Blog article. Child Support and Child Support Modification- Similar to child custody, Courts will look at the best interest of the child to determine the appropriate child support amount. In Georgia, this is done through the use of a child support worksheet which calculates the “presumptive child support” amount. Our team understands the complexities of the child support worksheet and we work to find the fairest child support amount in each of our cases. Watch the Replay of our Child Support Webcast. Our Family Lawyers also help clients with adult name changes, name changes for minor children, prenuptial agreements, postnuptial agreements, and domestic violence cases.